Jay Gordon founds Gordon Fast Freight serving Western Washington. Lucky Lager Beer was the original client and product shipped. Former GFF driver Larry Gordon and his wife, Virginia Gordon, open Gordon Trucking, Inc. GTI managed exclusively Owner Operators to move it’s freight. 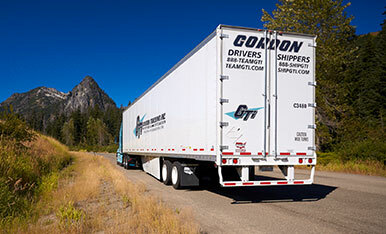 GTI owners Larry and Virginia Gordon purchase GFF from his father Jay Gordon, merging the two companies together under the name Gordon Trucking, Inc. GTI would then relocate five miles east of Fife to Pacific, WA. 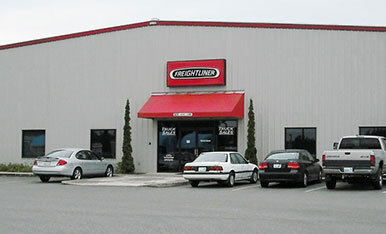 GTI owners Larry and Virginia Gordon start a new Freightliner dealership in the Northwest named Valley Freightliner. Valley Freightliner opens their second location in Mount Vernon, WA. 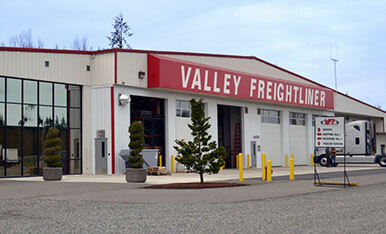 Valley Freightliner opens their third location in Olympia, WA. Gordon Trucking is sold to Heartland Express. In April, Valley Freightliner acquires Freedom Truck Centers with locations in Spokane, WA and Yakima, WA. In July, Valley Freightliner acquires Eagle Freightliner with locations in Hermiston, OR and La Grande, OR. In September, Valley Freightliner acquires Pacific Truck Centers with locations in Ridgefield, WA, Coburg, OR, Redmond, OR, Medford, OR, and Kapolei, HI. In December, Valley Freightliner rebrands the Kapolei, HI location to Freightliner of Hawaii. The five dealerships become the Valley Freightliner Dealership Family. To unify the five dealerships, Valley Freightliner became the Gordon Truck Centers Dealer Family. The 10 Northwest Freightliner dealerships were renamed to Freightliner Northwest. The Ridgefield, WA location became a Western Star dealership and was renamed Western Star Northwest. On January 7, 1946, the Gordon family got started in the trucking business. Having returned from serving in the Pacific theater during World War II, Jay Gordon invested in two used trucks initially hauling lumber for his father-in-law’s sawmill in Ellensburg, WA. From there, he switched to vans and got a permit to haul Lucky Lager beer from Vancouver, WA. 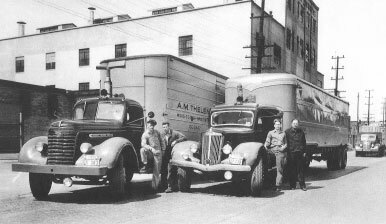 It was from these humble beginnings that the family’s connection to trucks and the trucking industry was born. Beginning in the 1960’s, Jay’s oldest son Larry became involved in the family trucking business, Gordon Fast Freight. Initially driving and helping to maintain the equipment, Larry developed a passion for the industry and especially the equipment. Larry brought with him an interest not only high performing equipment, but also trucks that looked good going down the road, giving the fleet real “pride in their ride.” This of course not only played well with the drivers, but customers and the general public appreciated a fleet that wanted to serve customers at a high level and look good doing it! With the onset of trucking deregulation in 1980, Larry saw a great opportunity to grow the business rapidly. 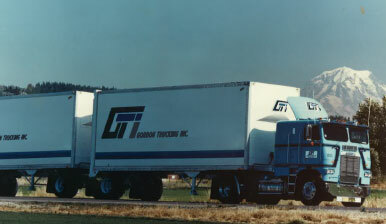 Larry, who along with his wife Virginia had led GFF throughout the 70’s, saw the chance to open up a new fleet, Gordon Trucking, supplementing the Gordon Fast Freight operation. After four years of rapid growth at Gordon Trucking, Jay agreed to sell his company fleet of trucks to Larry and the operations were combined under the GTI banner. It wasn’t long after that transaction was complete that the opportunity to get into the dealership business arose. The Freightliner franchise for most of Western Washington was available, and Larry recognized a great opportunity for some vertical integration. Timing was fortuitous as it was just prior to this time that Freightliner became part of Daimler Benz, greatly enhancing its financial fortunes and allowing for a much higher level of engineering and development. In the early 90’s, Larry and Virginia were joined in the business by their sons, Steve and Scott. Over those last 30 years, Freightliner’s product development has been second to none in the industry. At GTI, the Gordon Family proudly ran exclusively Freightliners that consistently outperformed the competition in fuel mileage, uptime, and total life cycle cost. The unique position of running a large fleet and also a Freightliner dealership provided a great opportunity as a “lab” to try new innovations in the product and give feedback to the dealership about best practices. As of November 2013, the Gordons exited the fleet business, having sold GTI to Heartland Express of Iowa to create a national operation with service and safety at its core. That transaction has allowed the family to focus on the dealership business and expand to 12 locations across Washington, Oregon, and Hawaii. We continue to apply the lessons learned through 70 years of truck operation and 30 years of dealer experience to assist our customers at being successful today and into the future. © 2019 Gordon Truck Centers, Inc. All rights reserved.